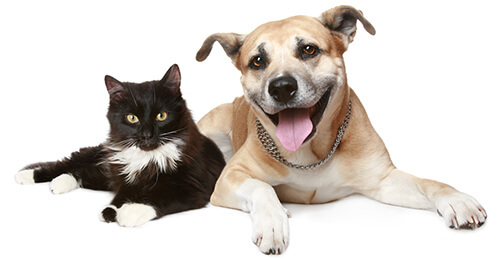 As a locally based practice dedicated to providing pets and their owners with expert veterinary services throughout Dulwich, Vale Vets focus on building and maintaining long lasting, positive relationships with all our clients. We understand the importance of ensuring that your pet lives a long and healthy lifestyle, which is why we offer a variety of services designed to make sure your pet stays happy and healthy. Vale Vets is located on Streatham Vale and is one of the nearest vet practices to Dulwich, with our own kennelling section for long stay visits and spacious consulting rooms and reception rooms to make sure that our patients get the very best care. The Vale is easily located via Glencairn Road off Streatham High Road. Simply continue under the railway bridge and turn right onto Sherwood Avenue. Drop by for a check up or phone us ahead of time to book an appointment for your pet. Vale Vets benefits from convenient on street parking situated outside the surgery on Woodmansterne Road or to the side on Farmhouse Road, making it perfect for longer visits. It is incredibly important to ensure that your pet receives fast and efficient service for whatever ails them, which is why we focus on providing expert support throughout the course of your pet’s life. We offer first time vaccinations for young animals and will provide an aftercare and advice plan on integrating your new puppy or kitten into your household. Our check up service is designed for all animals big and small. Should you wish to save money on veterinary fees we have a fantastic pet care plan available which provides a monthly saving of 10% on all treatments. With the pet care plan you will also receive the benefits of free health checks, a year’s supply of flea treatment for dogs and kennel cough vaccinations in order to make sure that your dog, cat or rabbit stays healthy year round. If you would like to find out more about what we can offer to all our clients, please visit our services page to see our list of pet care services in full detail. Our local service promises to ensure a long, healthy life for all clients throughout Dulwich and the surrounding area. With a passion for taking care of animals both big and small and with over 25 years experience in veterinary care, choose Vale Vets for all your pet’s needs today. Contact us today to find out about the services we provide, to book an appointment, or if you have any cares or concerns regarding your pets. You can contact us by calling us on 0208 679 6969 and by speaking to a member of our professional team, or alternatively you can email us your queries at info@valevets.com where we will respond to you as soon as we can. We look forward to speaking with you soon.